If you're planning a trip to Scotland, make sure you visit one of our favourite restaurants. Have we missed any out? Let us know below. With a Michelin star, named ‘Best Restaurant in Scotland 2012′ and a Thistle award in 2015, The Kitchin is hugely popular for its relaxed atmosphere and modern British cuisine created using French cooking techniques and fresh Scottish produce. The menu includes seared fillet of North Sea plaice served with winkles and mussels, nose to tail assiette of Highland lamb served with onion Lyonnaise, roasted loin of venison and, of course, The Kitchen’s take on haggis, neeps and tatties. Truly unique, the award-winning Clachaig Inn is located in the spectacular scenery of Glencoe in the Highlands. With a wonderful atmosphere and lively bars, the food served is hearty and local, while the beer is notably fine: The Clachaig has specialised in Cask Conditioned Ales for the last 20 years. 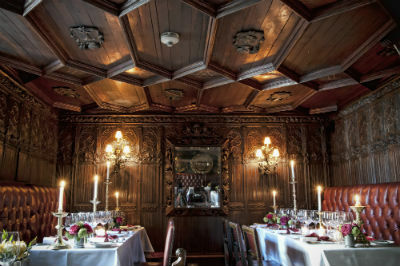 The menu is filled with traditional treats such as Clachaig venison casserole with redcurrant sauce and a ‘wee dash’ of whisky, fillet of west coast salmon gently poached with lemon, white wine and herbs, and wild boar burger made with apple and fresh sage and served with fruity Highland chutney. If you’re looking for beautiful surroundings to go with your meal then The Three Chimneys will fit the bill. 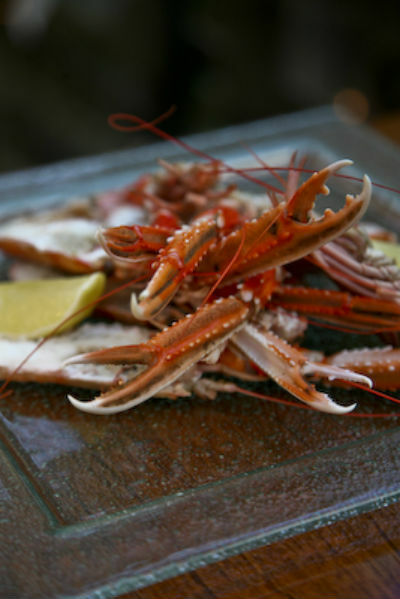 Situated beside the sea in the north west of the Isle of Skye and dedicated to seasonal freshness, this restaurant is able to pick up lobster and crab from its local pier. 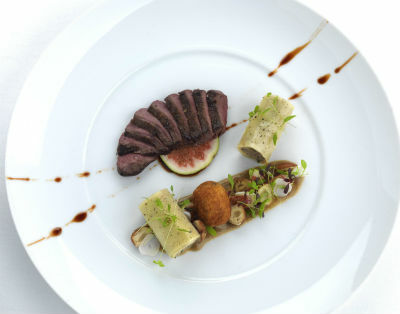 Enjoy dishes such as loin, shoulder and tongue of Blackface lamb with rosemary maize, breast and leg of Isle of Muck mallard with tattie scones, and Skye Lochs Fruits de Mer with Ferneyfold Farm rapeseed vinaigrette. Relaxed, fun and with plenty of events, The Ubiquitous Chip is a renowned restaurant in Glasgow that draws its inspiration from regional Scottish dishes and is influenced by tradition and folklore.  The menu includes roast guinea fowl breast with sweetcorn and mushroom fricassee, monkfish steak with smoked pork belly and parsley quinoa, and grilled haunch of Carsphairn roe deer with chocolate crumb, ‘hot pot’ potatoes and rosemary salsa. 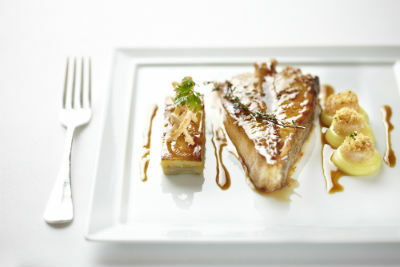 Scottish Aberdeen Angus beef is also hugely popular here and is served with dauphinoise potatoes and a choice of sauce. 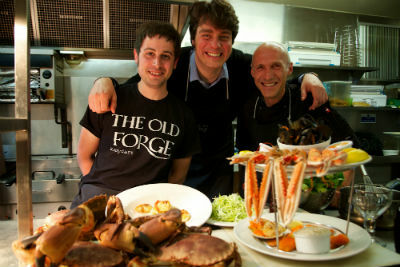 Declared by the Guinness Book of Records as the remotest pub on mainland Britain, The Old Forge is a lively local with brilliant food. The menu changes every day to reflect the daily catch, with creel caught outside the pub and a local scallop diver. Examples of dishes are venison slow cooked in a dark organic chocolate and chilli casserole, fresh homemade fish pies, and lots of seafood. For those staying locally, the pub even arranges freshly prepared meals such as casseroles, seafood and stews to be delivered to your door or yacht. The Witchery is a beautiful restaurant with elegant décor and outstanding food, not to mention its unique magical setting by Edinburgh Castle. The menu includes an exhaustive list of the provence of their produce so you can rest assured that everything on your plate is from some of Scotland’s finest growers and gamekeepers. Expect delights such as fillet of Limousin Scotch beef with truffled green beans and grilled marrow, Lindisfarne native oysters served on ice with lemon, Tabasco and shallot vinegar, and foie gras terrine, Jerusalem artichoke purée and artisan crackers. This award-winning 4 AA Rosette and Michilin star restaurant is located in the luxury Boath House hotel, a beautiful Regency house, in Nairn near Iverness. The restaurant has fine views down to the lake and offers a daily changing menu, and much of the ingredients originate from the hotel’s own kitchen gardens, including honey from their own bee hives. Depending on the time of year, dishes include pork belly with beans and chorizo, roe deer with salsify and turnip, and cod with smoked haddock, celery and anise. The warm atmosphere and friendly service as well as the excellent food at The Peat Inn ensures an exceptional dining experience. 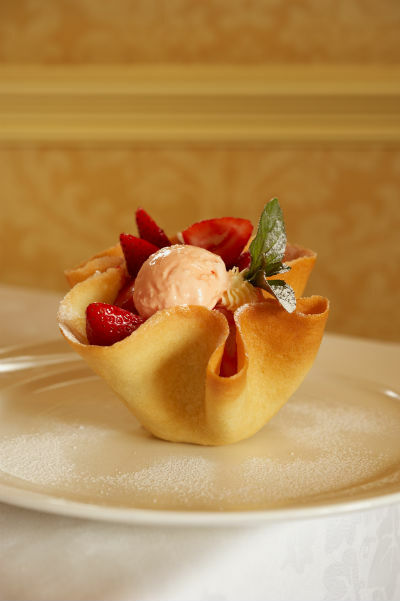 The cooking is based upon French cuisine and made all the more enjoyable in the knowledge that the ingredients are local, produced by small artisan suppliers. Dig in to slow braised lamb shank with ginger glazed parsnips and creamed savoy cabbage, roast fillets of gurnard with poached lobster and Jerusalem artichokes, and cutlet of Gartmorn Farm duck with roast heritage carrots, pearl onions and young turnips. Award-winning and with a Michelin star maintained since 2001, this elegant restaurant prides itself on serving both traditional and modern French cuisine using the finest Scottish ingredients. Dishes include wild sea-bass baked in salt meringue with creamy morels and broad beans, roast Iberico suckling pig with yellow beans and peas, and roast Orkney scallop with morels, artichoke, broad beans and black truffle. The restaurant at the Knockinaam Lodge provides a charming, tranquil and rather romantic dining atmosphere featuring stylish Scottish cuisine. If you are a whisky fan then the Whisky Bar here will surely impress with over 120 single malts. The menu boasts dishes such as roast cannon of Galloway lamb with a potato and shallot rösti, roast loin of Highland roe deer served with spiced carrot purée and braised red cabbage, and roast paupiette of free range chicken with a basil mousse and grilled black pudding.